When asked "On a scale of 1-10, how fulfilled are you with the depth of you friendships?" with 10 representing the most satisfied, respondents are more likely to choose a 1 or 2 than a 9 or 10, with the majority below a 5. There is an Intimacy Gap between the friendships we have and the ones we want. We seem to know more people than ever and yet feel increasingly disconnected in the ways that matter most to our health, longevity, and happiness. 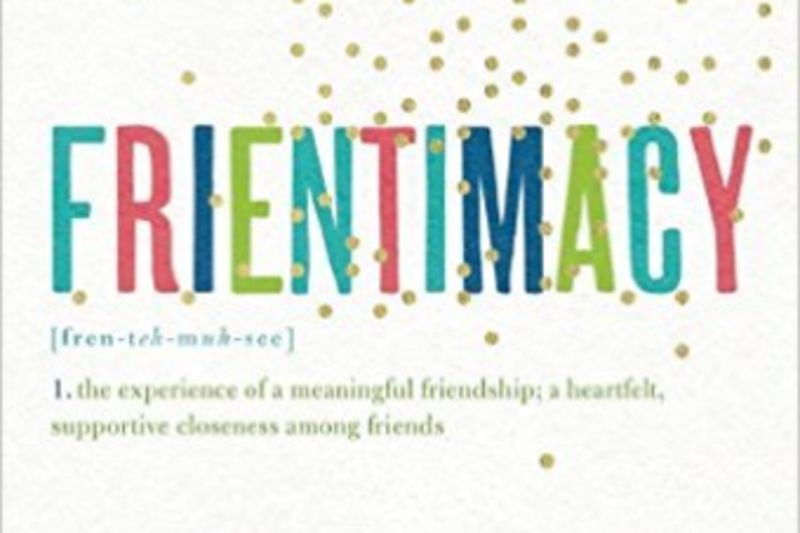 Reading from her just-published book "Frientimacy: How to Deepen Friendships for Lifelong Health and Happiness," Shasta Nelson will teach what Frientimacy is and what three actions will bond us with our friends.